In Wisconsin, a search warrant may be issued if a neutral magistrate reasonably determines that probable cause exists. In an unpublished opinion, a man’s vehicle was searched by police officers who smelled marijuana in the car. During the search, law enforcement officers apparently discovered two baggies of THC, drug paraphernalia, and other contraband items. Because the vehicle was not registered or titled to the man, officers obtained a search warrant for the man’s residence. According to police, the purpose of the warrant was to obtain information regarding the ownership of the car. The man’s wife was present at the residence when law enforcement officers executed the search warrant. 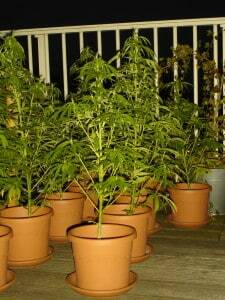 During the search, police allegedly discovered a marijuana grow operation in the basement. After that, officers obtained another search warrant and purportedly found two bags of marijuana inside of the home while executing it. Next, a police officer conducted a videotaped interview with the wife. In the tape, she apparently admitted to playing a role in establishing and maintaining the grow house. After that, the wife was arrested and charged with three drug offenses. Prior to trial, the defendant filed a motion to suppress both the drug evidence obtained at her residence and her videotaped statements. According to the woman, the first search warrant executed by law enforcement officers was not supported by probable cause. At a hearing on the matter, the trial court found that a neutral magistrate could have found reasonable cause to issue the warrant based on the affidavit offered in support of it. The trial court also held the search was reasonable because the driver was likely to raise the defense that the illegal items discovered in the vehicle belonged to another individual. The defendant then filed an appeal with the Court of Appeals of Wisconsin, District II. On appeal, the court stated a search warrant may be issued in Wisconsin if a neutral magistrate determines that probable cause exists. In order to make this determination, the magistrate must be provided with sufficient information to reasonably conclude the evidence sought is linked to a criminal act and likely to be found in the location to be searched. The court added that probable cause may be based on reasonable inferences. The Court of Appeals stated it was required to uphold a trial court’s ruling in a suppression hearing unless the ruling was clearly erroneous. The court then said it would provide great deference to the magistrate’s probable cause determination. The appellate court also stated the magistrate’s decision to issue a search warrant should be upheld unless the facts alleged in the supporting affidavit were clearly insufficient. In addition, borderline cases must be resolved in favor of issuing the warrant. After examining the record, the appeals court held that the search warrant at issue was valid because it specifically listed the items sought and such evidence would serve to link the driver to the drugs and other illegal objects discovered in the vehicle. The court added that the second warrant was also valid because the grow operation was in plain view to the law enforcement officers who executed the initial search warrant. Because the search warrant at issue was valid, the Court of Appeals of Wisconsin, District II affirmed the trial court’s order denying the defendant’s motion to suppress the evidence obtained as a result. If you or someone you know was charged with a drug offense in Wisconsin, you should consult with a knowledgeable Milwaukee criminal defense lawyer who can assess your situation and make sure police conduct was within the parameters of the law. To learn more about your rights and options, do not hesitate to contact the law offices of Reddin & Singer, LLP online or give us a call at (414) 271-6400. We may also be reached through our phone number (414) 271-6400.